Wasserhund Brewery and the Noblemen are presenting the 4th Annual Oktoberfest Event for all of Coastal Virginia and beyond. 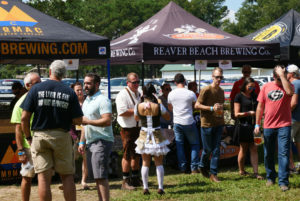 This event will serve as the quintessential Oktoberfest event for the area featuring over 28 breweries, traditional German food and fare, festival games, and much more. Attendees will have the opportunity to enjoy multiple styles of beers, including a wide variety of German beers. Amenities to include Artisan Vendors, live music, German dance performances, and a very special World Food Championships Event. The ceremonial tapping of the first cask will be performed by a local dignitary and a portion of the proceeds will be donated to a local charity. 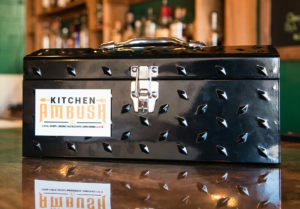 Ambush Productions, the creators of the popular LIVE streaming video series, Kitchen Ambush, will be LIVE streaming from Oktoberfest. Secret ingredients! Timed cooking! Who will prevail? Kitchen Ambush will present a World Food Championships Elite Qualifier event at Oktoberfest 2018. 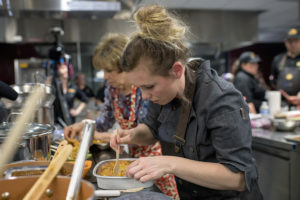 Eight local Chefs will compete in a Kitchen Ambush style cooking competition LIVE, in person, and have it streamed over multiple social media platforms. Mystery ingredients will be provided by Sponsors and Locally Owned Businesses. The full pantry will also be provided by Sponsors. This will be a timed event with a Golden Ticket on the line that will take them to the World Food Championships in Orange Beach, Alabama. This event will be covered both locally and nationally by multiple media outlets. Contestants battle it out for top prizes at the World Food Championships! The World Food Championships is the largest competition in Food Sport, where grand champions of previous events convene for a chance at winning the ultimate food crown and a share of hundreds of thousands of dollars in prize money. The World Food Championships is also the springboard for many up and coming culinary stars and home cooks as they seek TV fame through many well-known food shows and acting opportunities. Since its debut in 2012, WFC has given birth to 30 TV food stars, awarded more than $1.5 million in prize money, garnered more than 5.7 billion media impressions, and connected 150+ food brands with food fans, food bloggers, and food media. In short, it has given birth to “Food Sport” by providing a level playing field, a fair judging system, a creative culinary fest, and a process that allows the culinary elite to show their chops and earn the respect they deserve.